When I first stepped on to this site in Hawthorn, I saw a beautiful Victorian home. 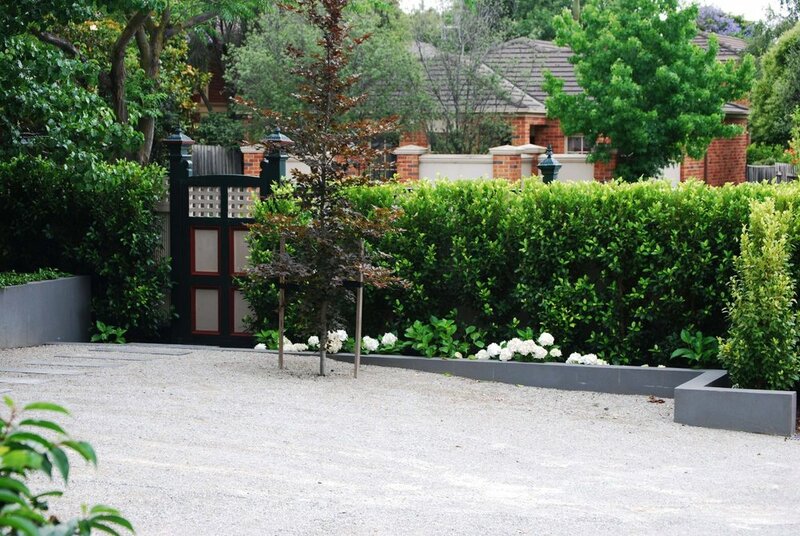 It had been recently renovated, sympathetic to the period, and the property boundary was sporting a shiny new fence. But something was missing - the garden! The lovely family home was marooned in a muddy paddock ( I got bogged on my first visit). 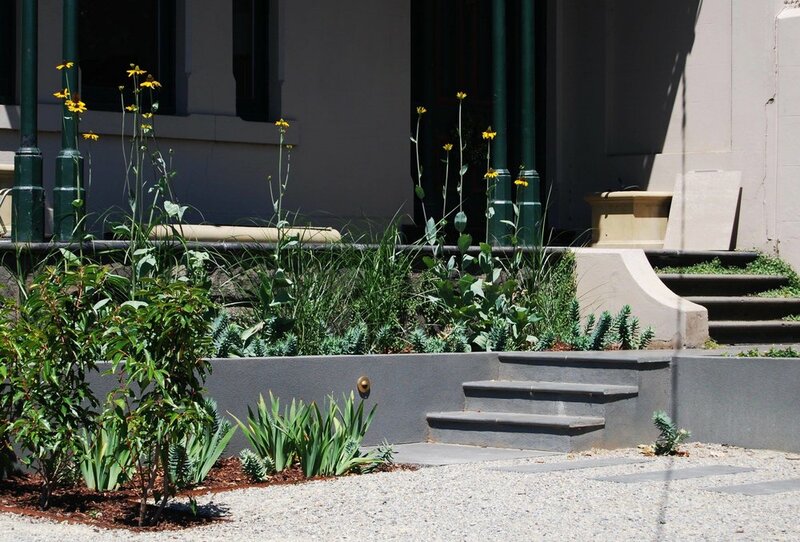 Jacqui wanted a garden to balance her home and respond to her community. The East-facing garden was dark most of the day, so maximising available sunlight was important. Also high on the list was somewhere to park, and because the property was off a busy road Jacqui hoped that I could find space for a turning circle. We resolved the issues of the site by creating four level spaces, therefore increasing the usability of the gently sloping "paddock." The largest of the spaces is the entrance courtyard. It was important for the entrance to be as level as possible; this not only created a safe place to park, it also turned a simple gravel driveway into a multi-purpose and grand entrance. A simple stepper path links the pedestrian gate to the new steps leading up to the front door. Retaining walls were used to maintain the soil level around the existing pear tree, the walls also framing the space, creating a welcoming and secluded courtyard. As with most Australian homes, close family and friends always enter through the back door, so we created a wide path along the Eastern side of the property. The wide path provided access to the the rest of the garden as well as the family entrance (through the kitchen). The path is two meters wide, with a row of one meter wide steppers through the middle. 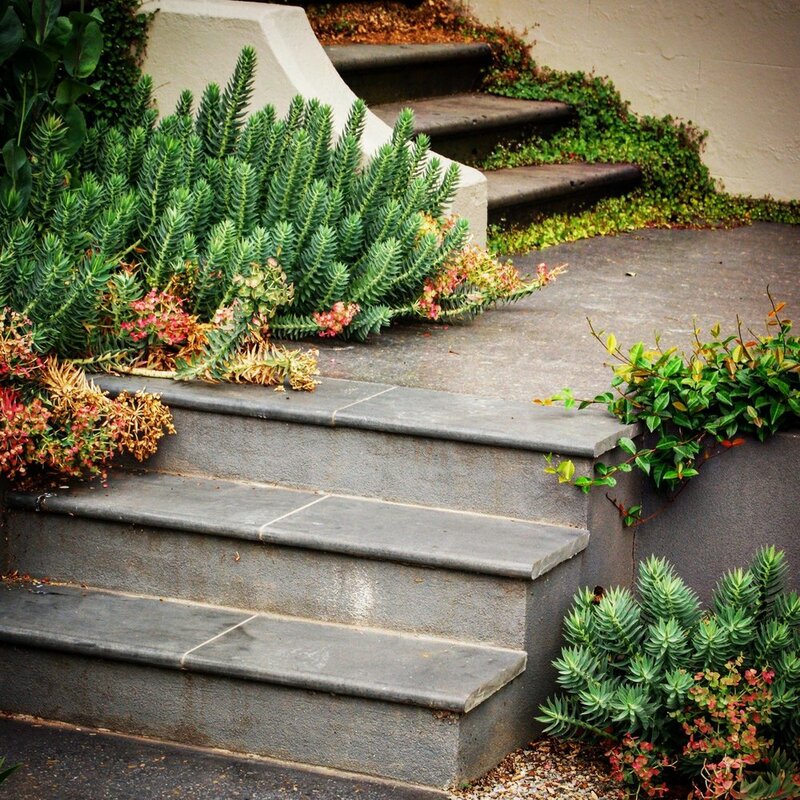 The extra width is to allow the plants from the adjacent garden beds to spill over the path edge without interrupting the flow. A small secret garden is found to the West of the path, tall hedges screen the garden from the front courtyard and as the trees grow the garden will become a shaded and quite retreat from the outside world. The existing deck was reduced in size to allow for the extra width of the path. Before the garden was completed, the deck was the only useable space, however now with more options for relaxing and entertaining the deck is now mainly used as a transition space from the garden to the kitchen. There is still some space for occasional family BBQ. The final space is the large back garden. The existing lawn area was made level and edged with bluestone. The main change to this space was the removal of an overgrown and unhealthy ornamental Pear tree. The tree made the space feel dark, cold and unwelcoming. 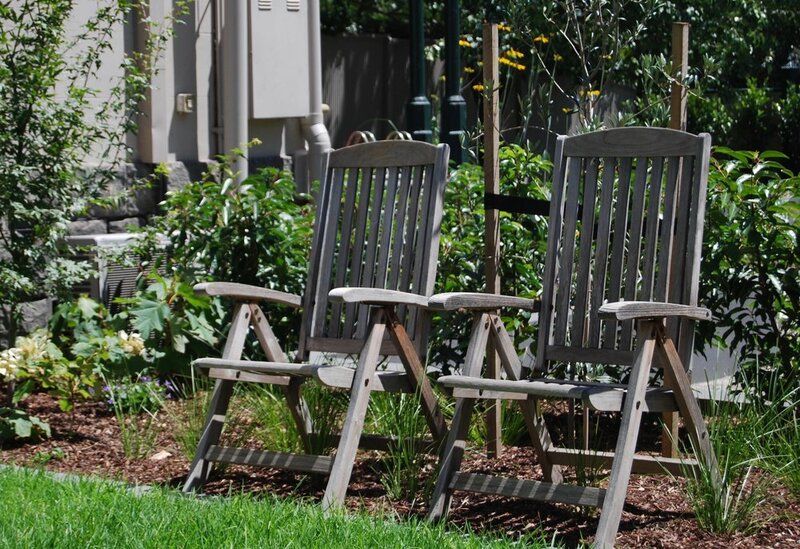 By removing it, the space is now light-filled, making the garden family friendly. It also increased the sun light to the existing Lilly Pilly hedge ,and over time it should recover and provide a solid green backdrop to the garden, whilst also screening the neighbours. 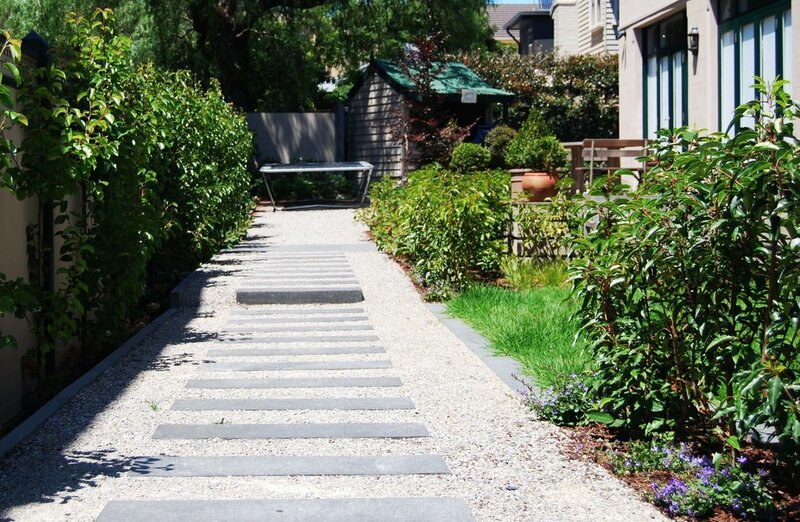 A small gravel area to the East of the lawn provides a transition space from the side path to the back lawn. A Copper Beech is planted in the gravel to provide a shady cool alternative to the sun-soaked lawn area.